I don't know if the problem is my personality, my age, or the age we live in but I find it so difficult to have friends anymore. I mean I have them, but so many of them are hopeless alcoholics, or have serious health problems or are flaky or moved far away. One friend I've had since seventh grade is now a Jesus freak. And I know a bunch of theater people but you can hardly call them friends. You'll see them if you can do something for them, like put them in your production, but other than that, you'll never hear from them. And dating is of course one failure after another. I suppose I could find company if I was willing to spend time with men I find unattractive-to-intolerable who want to get into my pants. Turns out I'm not that desperate for companionship yet. So I hang out with my two cats a lot. 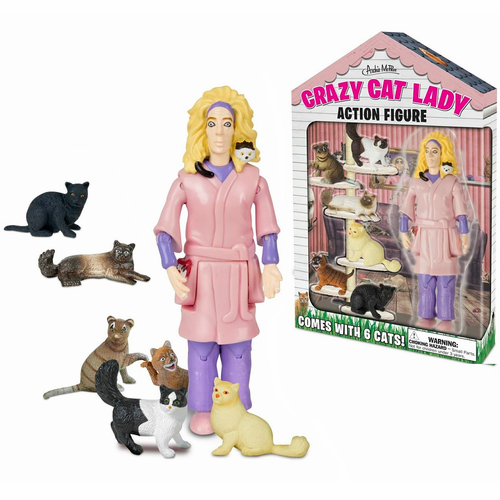 I suspect I'm not alone since "crazy cat lady" is now a well-recognized trope. It's hard not to despair - I doubt it gets easier to find friends as you get older. Although I do cling to the notion that you aren't a "crazy" cat lady until you have lots of cats. I think having only two is still under the crazy line. Meanwhile, it seems loneliness isn't only unpleasant, it's life-threatening. Philosopher Brendan Myers believes that existential loneliness is the human condition. He's all about "pushing back the boundaries of loneliness a little bit." I became curious about Myers and found his web site.